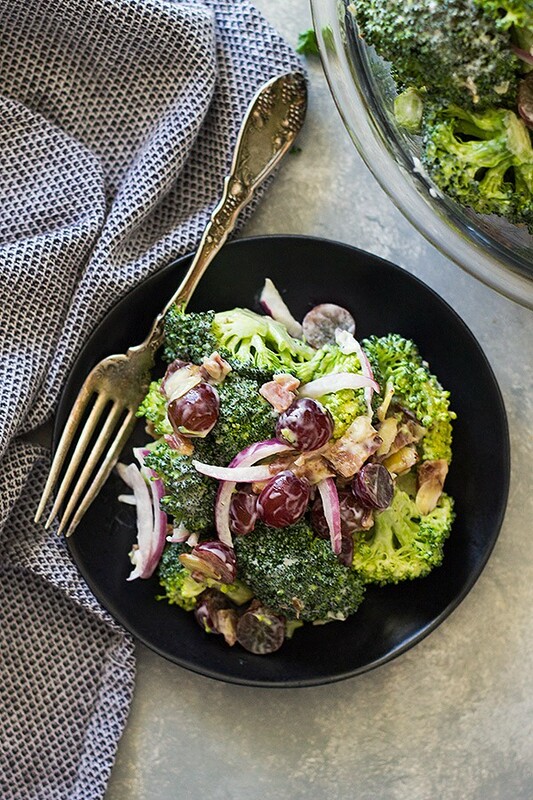 This Broccoli Bacon and Grape Salad combines crisp broccoli, crunchy bacon, sweet red grapes all in a creamy dressing. 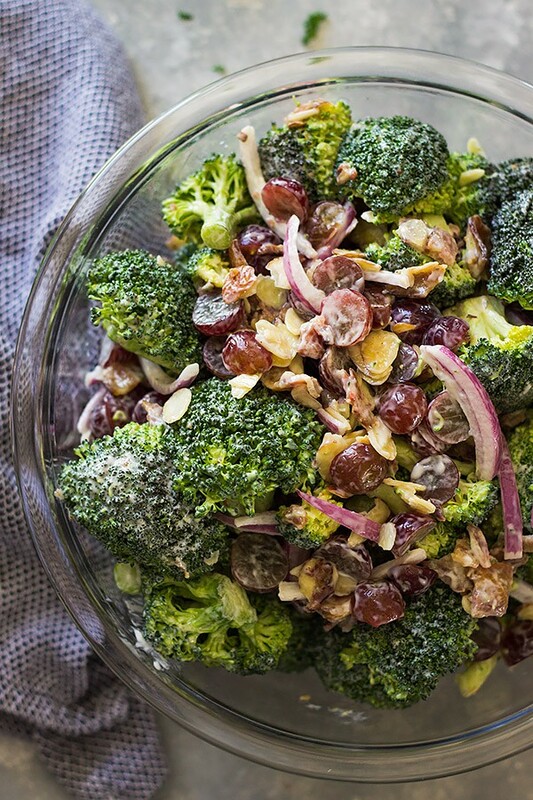 How many of you remember seeing this broccoli bacon and grape salad when you were younger at potlucks and picnics?? I do! Only most of the time it had raisins instead of grapes. I switched them out because my husband’s family (husband included) HATE raisins. And to be honest I like it better with the grapes too! 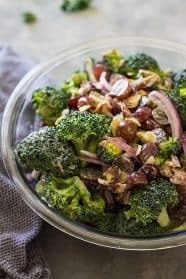 My kiddos really enjoy this salad too and I know I liked broccoli as a kid so I don’t know why I didn’t try this when I was younger. 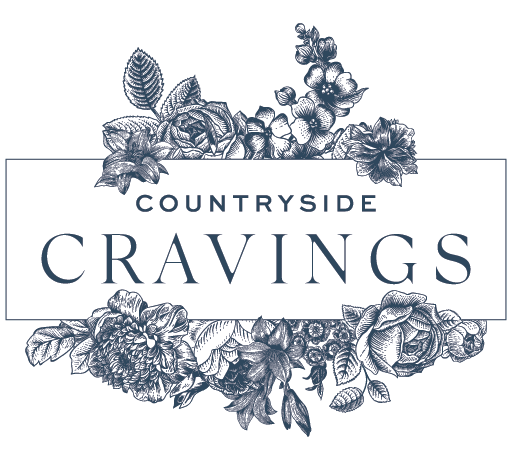 Probably because there were so many other super kid tantalizing options like hot dogs, dirt and worms pudding, chips, pop…….you know all the really unhealthy stuff you weren’t allowed to eat at home but gorged on when you went somewhere! I have to admit I can eat this salad straight out of the bowl and call it lunch. 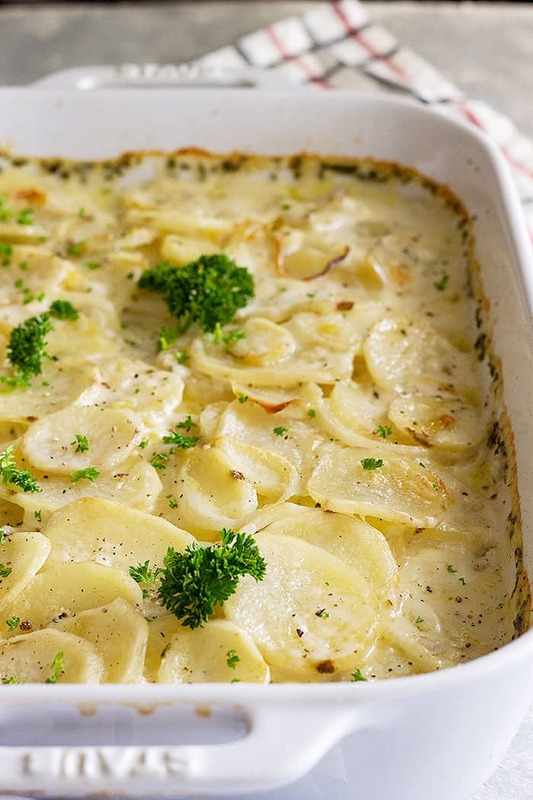 It’s super fresh with the crisp broccoli and sweet grapes making it perfect for spring and summertime get-togethers. 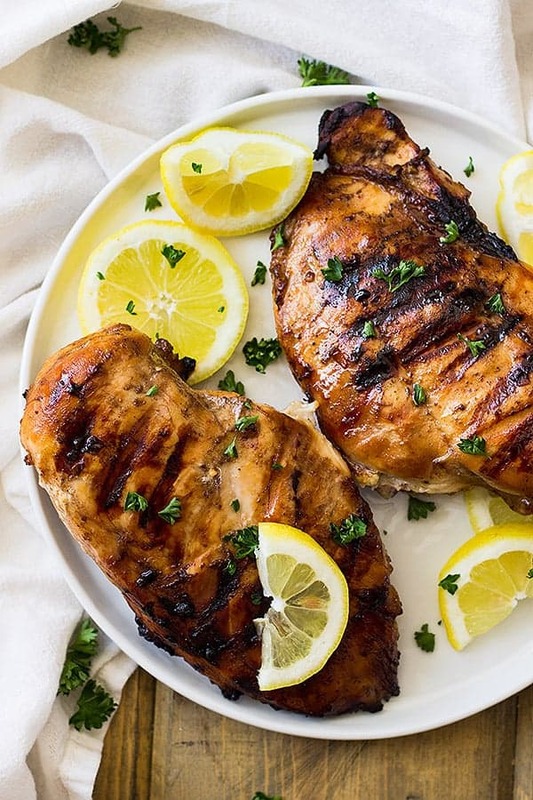 This would pair great with any bbq menu like this Applewood Grill Smoked Chicken or these Quick Smoked BBQ Pork Chops. 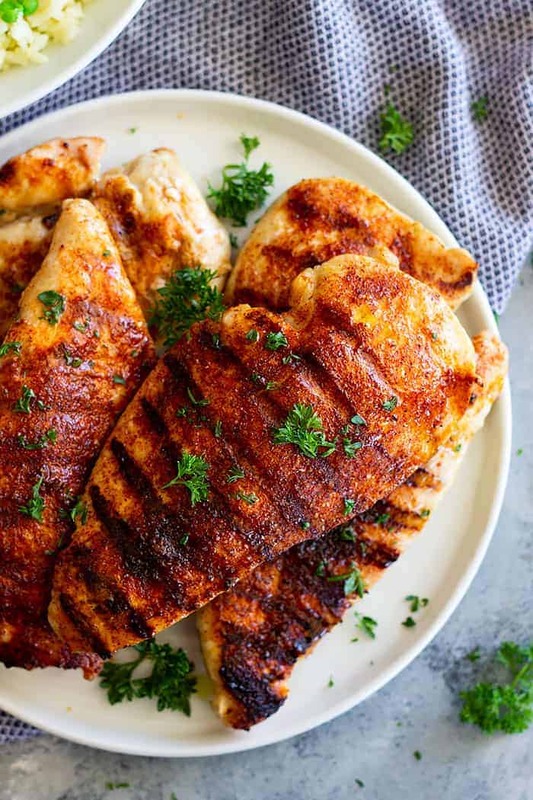 Pair it with some Creamy Coleslaw, potato salad, Peanut Butter Cup Rice Krispie Treats or Homemade Banana Pudding Cups and you will have a backyard party sure to make some memories. After all isn’t that what it’s all about, making memories??? 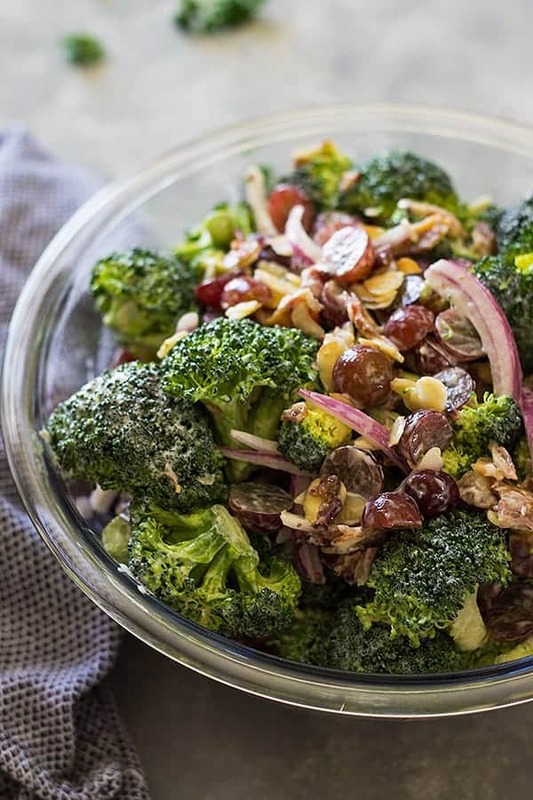 In a large bowl combine the broccoli, grapes, bacon, onion and almonds. Set aside. In a small bowl combine the ingredients for the dressing and pour over the broccoli mixture. Combine well. Cover and refrigerate until ready to serve. Stir just before serving. 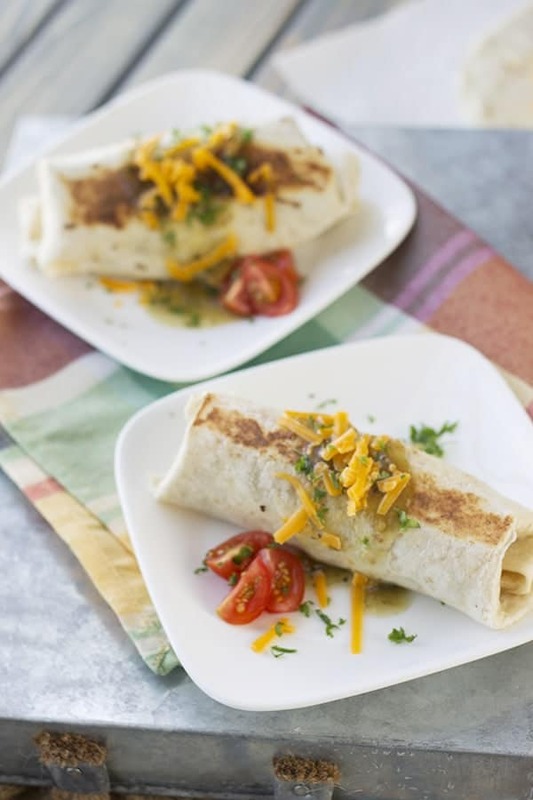 I for sure remember something similar, only I think we used Italian dressing! 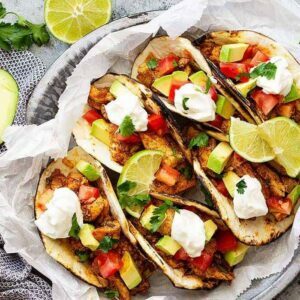 The best part about this is sneaking a fork and snacking straight out of the bowl from time to time! Sounds really good with grapes, although I am a raisin lover. This would make a great summer salad.